This is an astounding film. 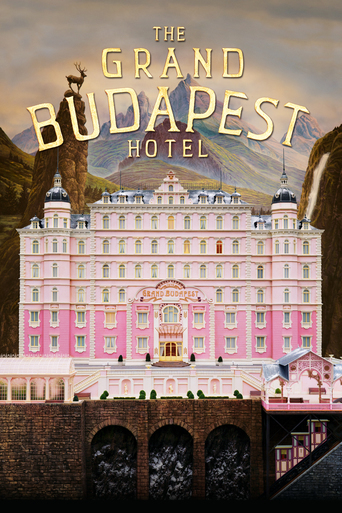 Wes Anderson is, in my opinion, one of the most talented people working today and I’m a fan of all of his movies. Moonrise Kingdom was my favorite film of 2012. Naturally, when I saw the cast list for Grand Budapest, I got very excited. When I went to see the film on opening night though, I left slightly disappointed. I loved the film and gave it an A+ as such, but I couldn’t shake the feeling that something was missing. Now, months later, while I still don’t hold it in as high esteem as Moonrise, this is the best picture of the year (alongside Birdman (Or, the Unexpected Virtue of Ignorance)). For, I now realize that nothing was missing from this film, I had just gone into it with impossibly high expectations. In fact, the my expectations were so high, it’s a miracle I didn’t hate the movie all together.